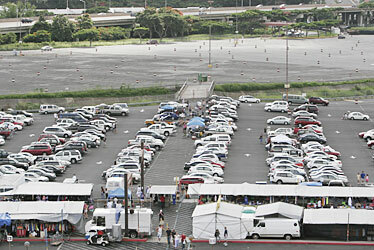 Empty parking lots and the swap meet yesterday told the tale of low spectator turnout for the Hula Bowl at Aloha Stadium. 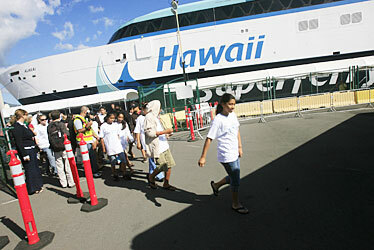 Children from the Boys and Girls Club of Maui and their parents and guardians disembarked the Hawaii Superferry Alakai yesterday. The children were on a sail aboard the Alakai for an overnight visit to the Bishop Museum.